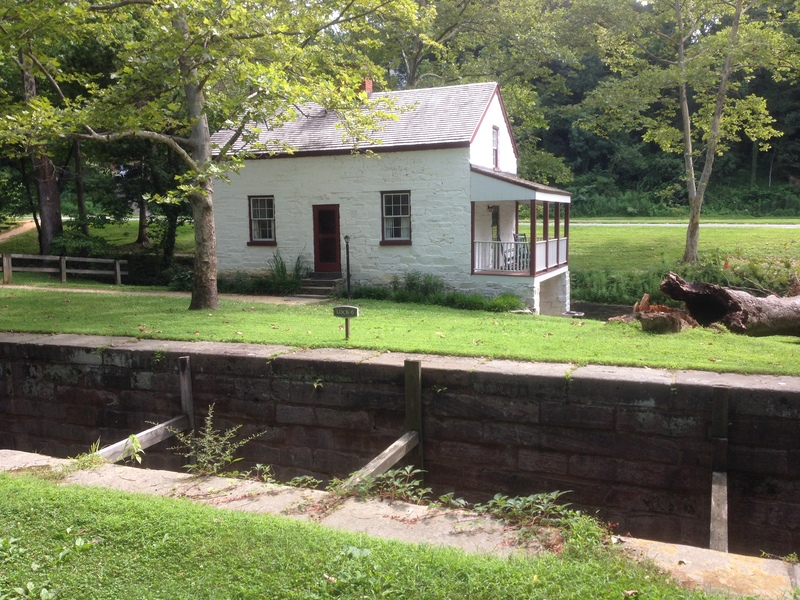 This morning Karen and I walked the first seven miles of the Chesapeake and Ohio Canal towpath, beginning in the Georgetown neighborhood of Washington D.C. and ending at Lock 7, adjacent to the Clara Barton Pkwy. As might be expected, we had plenty of company on our way—mostly joggers and bicyclists. We expect to lose much of this company as we continue on the path, putting more distance between us and Georgetown. Our path began next to the Capital Crescent Trail, which connects Georgetown to Silver Spring, Maryland. 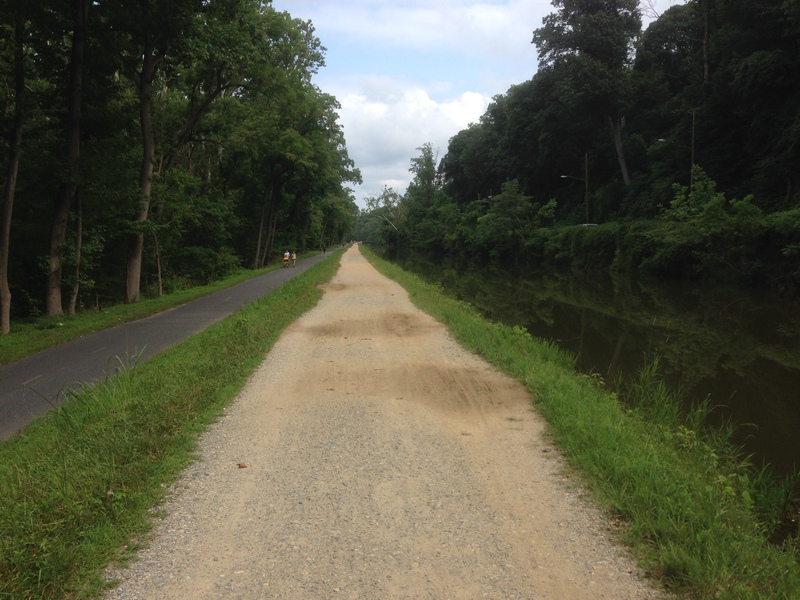 Running side-by-side, then, is the C & O Canal, its towpath, the C. C. Trail, and the Potomac River. After a couple of miles, the C. C. Trail verged off northeast and we lost sight of it. At the same time, we found ourselves closer to the Potomac River, separated from it only by some trees and brush. The canal looked clear and relatively clean until we got to Lock 5, an inlet lock, behind which the canal was perfectly still and full of algae. It was at about this point that we came upon a snake stretched across our path. I stopped suddenly to prevent myself from stepping on it, and it quickly doubled back and disappeared under the brush. Karen and I were both surprised how easy it was for us to walk the seven miles to Lock 7 and how quickly we traversed the distance. We have become used to hiking trails, full of rocks and roots, measured in inclines and declines. Walking on the broad, smooth, and essentially flat towpath, we covered the distance in considerably less time and with not half the exertion. In the future, as we return to this path, we’ll have to challenge ourselves a bit more. This entry was posted in Birch's Jots on Jaunts and tagged C&O, Day Hike, hiking, Washington D.C. by Birch. Bookmark the permalink.